The thought of having your home broken into and all of your worldly possessions stolen fills many people with sheer dread. Strangers rifling through your belongings can make you feel violated and physically sick, knowing that they will go on to making money out of items that you have paid for using your hard-earned cash. But it goes beyond the materialistic. 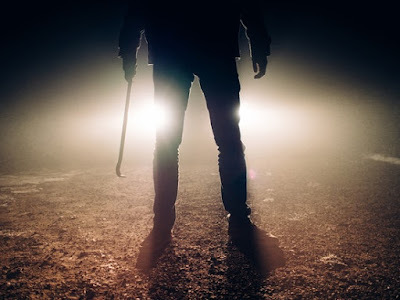 Burglaries can cause unknown psychological damage to homeowners, delayed trauma to children and, at the very worst, they can leave you feeling like you want to move from your once much-loved home. It is vital that you secure your home and limit the potential for a break-in at your humble abode. The most obvious way of securing your home is by installing a highly visual deterrent that should put even the most hardened of criminals off attempting to get into your property. By fitting an alarm system that is hooked up to a central manned premises, you will be notified of the alarm going off within seconds. With smart technology, your alarm can be connected wirelessly to your smartphone provided that you are not too far away. This means if there is any suspicious activity around your home, you will be notified instantly. Although seemingly an insignificant detail, ensure you fit a system that has flashing lights visible from the most accessible point of your property. These lights send a subliminal message to any potential burglar that you are a homeowner that takes security seriously and that they will be risking too much if they choose to take on your home security system. Many burglaries are attempted under the cover of darkness. It is worthwhile installing a lighting system with motion sensors that will pick up any odd movements in the vicinity and light up the entrance to your home. This is a massive deterrent to any burglar as it promotes too much unwanted attention. No burglar likes to find themselves in the spotlight. Any potential criminal intruders that attempt to break into your home will retreat if you have installed SolarTex window film onto every window pane and glazed external door. The protective layer of the film adds a crucial extra security element meaning that the glass will not shatter. By keeping the glass in one piece, entry through this means is virtually impossible, frustrating the potential intruder and forcing him to retreat. If you feel an alarm, reinforced glazing and lighting is not enough to secure your property, you may want to opt for a small network of cameras that link to a central point in your home. By doing this, you can see exactly what is occurring outside at any one time. Just be careful that these cameras are for security only, and that none venture into viewing public areas as this may attract complaints from your neighbors. Your home should be a secure place of sanctuary for you and your family. Implement these measures to ensure your home remains as secure as possible. I actually disagree with one of the points here, but for the most part, I really like this article. I feel like if you leave the light porch on, sure it will make burglars more visible to on lookers, but it also makes it easier for burglars to break into your home because they have higher visibility. If you can turn off all the lights, you make it harder for them to see, so naturally they can't break into your home that easy. We just installed a door bell camera from www.blackhatsecurity.com so we can see who's visiting our door when we're not at home or when we're asleep. It really helps. Great post though, really liked the rest of your points.